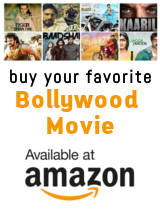 The film is a satire on Bollywood and revolves around Subhramanium (Om Puri) a Mumbai based film producer who dreams of making a box office smash hit. In order to do that he decides to sign ailing Hollywood B-grade star Pat (Pat Cusick). Pat is an alcoholic whose career has gone down the toilet and he has recently found out he has cancer. When his agent comes to him with an offer from Bollywood his curiosity is aroused. He meets Subhra who lets him know of the plot of the movie. Pat reluctantly agrees to do the movie and comes to India. What follows is Pat?s introduction into our beloved Bollywood. Pat, who is used to Hollywood professionalism is at first outraged by the casual attitude of Indian film makers, but as time passes he also gets used to it. He gets to meet his co-star, who is the film?s main hero. Manu Kapoor (Navin Nischol) is the arrogant and aging superstar; the beautiful actress is Kaajal (Perizaab Zoriban) who has never slept with an American and all the other quirky members of the unit. Very soon Pat is used to the Bollywood style of filmmaking and is mouthing dialogues such as "kutte main tujhe zinda nahin chodugna" and signing songs around trees such as "sajnee". However, just as the movie is about to finish Pat hurts Manu Kapoor?s ego and cancels the shooting. Subhra is shattered and so is Pat. When the entire crew finds out that Pat has cancer due to Subhra?s loud mouth, the movie makes way again. The film, Maut is released and goes onto become a super hit! Manu Kapoor gets his 80th hit, Subhramanium becomes a big time director and in the meantime Pat goes back to the US and gets chemotherapy. He is miraculously saved and decides to salvage his failing marriage too.